I won’t go into too much detail here but I’ll start by saying that I’ve been having medical issues for years. Literally years. I have been blunt-honest with several doctors who have all but told me I was crazy. Be honest with many medical professionals and tell them you are always tired no matter how much you sleep and you just feel blah and they’ll hand you a depression screening form. Guess what? I didn’t screen as depressed and I could have saved them and me the time. I had my own theories based on reading many articles online, but I know I’m no doctor. My theories were hormone imbalances, possibly adrenal fatigue, cortisol levels out of whack from working crazy hours and being stressed, and possibly thyroid problems. My primary care doctor did blood work and told me I was fine and blew it off, told me this is how being 30 looks and feels. I went to a naturopath who again did labs and she told me I was hypothyroid. I was so happy to get answers! She tried me on one medication that gave me bad side-effects then gave up. So again I was discouraged. Fast-forward (years) to now. I finally saw a new nurse practitioner who was recommended to me as someone who deals with patients who “don’t have a normal reaction to medications” and who aren’t in the 90% of the population. The person who recommended me also had hormone issues. Now, I’m still waiting on blood work but I feel like for the first time ever there is a doctor who believes me and who knows enough to actually help fix the problem. The first thing she “prescribed” for me is to do the Whole30. I never knew that the majority of the body’s hormones are created in the gut. 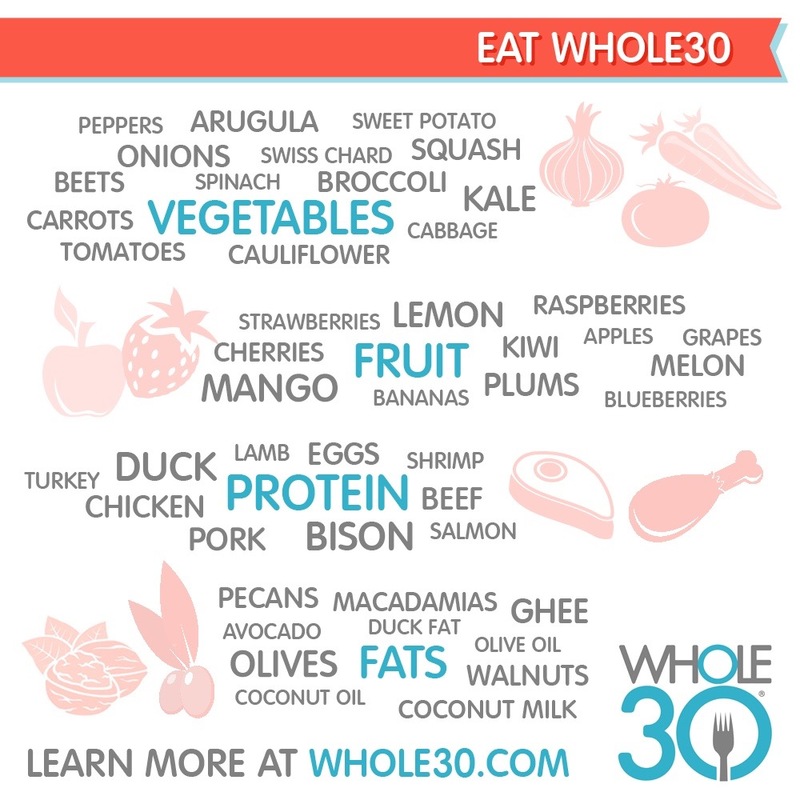 The Whole30 is designed to help heal the gut. So, in theory, once my body is repaired and is actually making it’s own hormones again, at whatever level that happens to be, then medications can be looked at to finish off whatever my body can’t create. I don’t know about you but it makes a hell of a lot of sense to me. So, I’ve finished reading the book and I’ve chosen a start date of October 10, 2015. I’m nervous and excited, but mostly excited. The food really does look good. I just HATE cooking. My plan is to cook enough meals for the week on my weekend and just cook breakfast every day. Due to my crazy work schedule that’s about all that is going to work for me. I’m as prepared as I can be mentally for this to be a life-change, no a 30 day change. The nurse practitioner believes based on what she has physically seen that I likely have celiac’s disease. I’m just so ready to change what I have to to feel better! The book mentions coming up with a list of “non-scale victories”, things you want to see changes in that can’t be measured by the bathroom scale. I’ll be doing this in the next blog! I think the hardest part for me will be not weighing myself for 30 days.